Friday: WATER PARK TAKEOVER Saturday: POOL PARTY & Sunday: BLACK & GOLD PARTY Transportation to and from our host hotel. 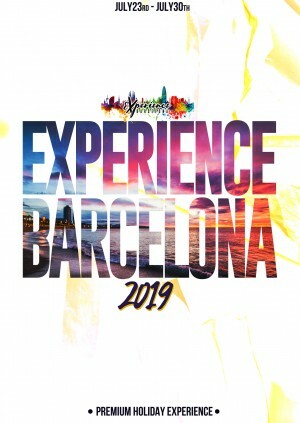 Welcome to 'Experience Barcelona 2019' The first 6 day Urban Fiesta to take over the world-renowned streets of this amazing city. With a jam-packed itinerary full of fun, sunshine, sand and culture. Come and visit the city that naps in the afternoon and parties until the sunrise. To ensure tickets are delivered safely and securely and to keep the price as low as possible for you, the ticket buyer, Global Experience generally uses our E-ticket system unless otherwise stated. When you purchase tickets through Global Experience, the full face value of the ticket is shown. This price is the price set by the event promoter and we pay this full amount to the promoter without any deductions.